2-Describe different basic genetic engineering techniques. 3. Describe different techniques of isolation of DNA? 4-What is transformation? Give transformation in animals and plant. 4-Describe different methods of cloning of vector. Ans: The process of manipulating genes, usually outside the organism’s normal reproductive process is called genetic engineering or genetic modification (GM) or gene splicing. Give uses of genetic engineering. Ans: Make a crop resistant to herbicide. Introducing a novel trait. Producing a new protein or enzyme. Give three uses of genetic engineering. Ans: Its examples are production of human insulin through the use of modified bacteria. Production of erythropoietin in Chinese Hamster Ovary cells. The production of new types of experimental mice such as the OncoMouse (cancer mouse) for research, through genetic redesign. What are restriction enzymes? Give their types. 5-How are different fragments of DNA are separated? Ans: The various fragments of a specific DNA are separated into diffe!,ent bands of distinct molecular weights by agarose gel elect. ophoresis. 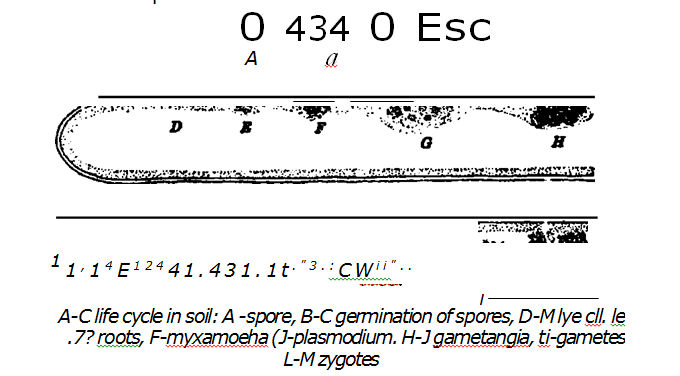 Ans: Specific sequences of these bands can be identified by a technique Southern blotting. In this technique. DNA restriction fri 4111t ms present on a gel are denatured. They are blotted onnitrocellulose filter. The filter is incubated together witl a radioactively labeled DNA or RNA probe. These probes are specific for the gene under study . The labeled probe hybridizes to its complement in the restricted DNA. The regions of hybridization are detected by autoradiography. Ans: It is another method used to generate small DNA fragments by mechanical shearing. In this case. intense sonification of high-molecular-N%eight DNA is done ith the help of ultrasound or high-speed stirring blender. Ihis method is used to produce DNA fragments of a certain size range. Ans: Other source of DNA is synthesis of complementary DNA (cDNA). It is synthesized in test tube artificially by joining nucleotides. Ans: Another method for joining DNA molecules in solves the addition of honmpolymer extensions to dill rent DNA fragments. These homopolymer extensions then join the DNA fragments. 10-What is use of particle gun? Ans: This method is developed by John C Sanford and Theodore M. Klein of Cornell University in 1987. They introduced DNA into a plant tissue culture callus. They developed a device called particle gun. This gun bombards a callus with microscopic metal particles. These particles are coated with DNA. 11-What are plasmids? Give its uses. Ans: Plasmids: Plasmids are extra chromosomal DNA sequences that are stably inherited. Escherichia coil and its plasmids constitute the most versatile type of host-vector system known for DNA cloning. Ans: Plasmids have also been constructed that contain the phage cos DNA site and ColE1 DNA segments. Cos DNA is required for packaging into the phage particles. ColE I DNA segments required for plasmid replication. These plasmids are called as cosmids.